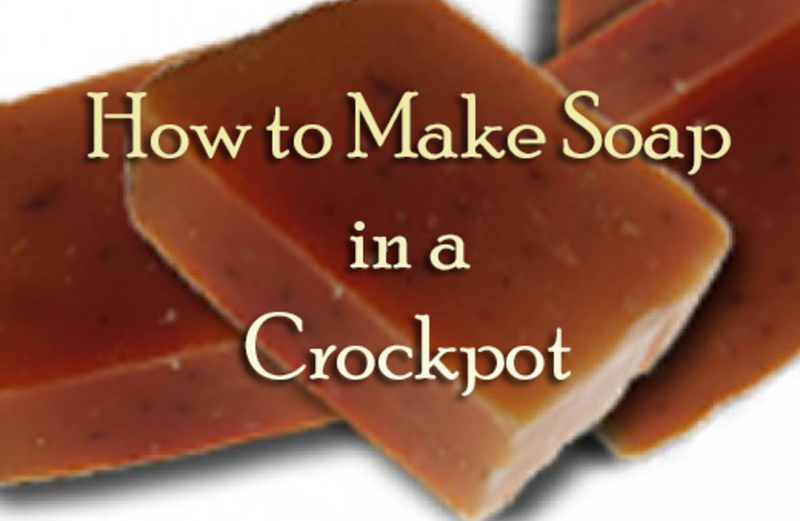 Learn how to make soap easily using the hot process method. Soap making is a complex process, but certainly not difficult. Through this guide, I will show you step by step with illustrations, how to easily craft your own homemade soaps which you can later customize to meet your own needs. Did you know that the “soap” we buy in stores today is not actually soap at all, at least not in the traditional sense? Most products sold in stores are detergents and not soap. In the old days, soap was made by mixing animal fats with wood ash. The wood ash formed a sort of rudimentary type of lye. This soap was typically made without careful measurements and the end result was often lye-heavy soaps that would burn or irritate the skin. When done right, however, soap made in this fashion was not only wonderful for the skin, but very effective at cleaning laundry, pots and pans, and even for household cleaning. Today, we can make wonderful soaps using old fashioned techniques but with modern equipment and safety gear. Once your lye (sodium hydroxide) is processed properly, it is no longer caustic and becomes glycerin. Today we can superfat and add more lovely skin healthy ingredients as well. Once you experience "real" soap - you'll never go back to store bought. Personally; I've been making handmade soaps for several years and even had a sideline business for awhile. I enjoyed this very much, but unfortunately with work, school, and a family life got in the way and something had to give. Today, I still make soap for friends and family, and it's a wonderful, relaxing hobby. It has also been a great way for me to deal with sensitive skin. I can use homemade soaps and lotions without any of the drying, flaking, rashes and other issues I experience with most commercial products. So, hopefully by now you are ready to try your hand at soap making. Below are the detailed directions which I recommend you read all the way through at least once before trying your first batch. This will ensure you get the feel for the process and know what you are looking for as you prepare your soap.I will be using one of my own recipes for this tutorial which you are welcome to use, however you are also free to use any soap recipe of your choice. 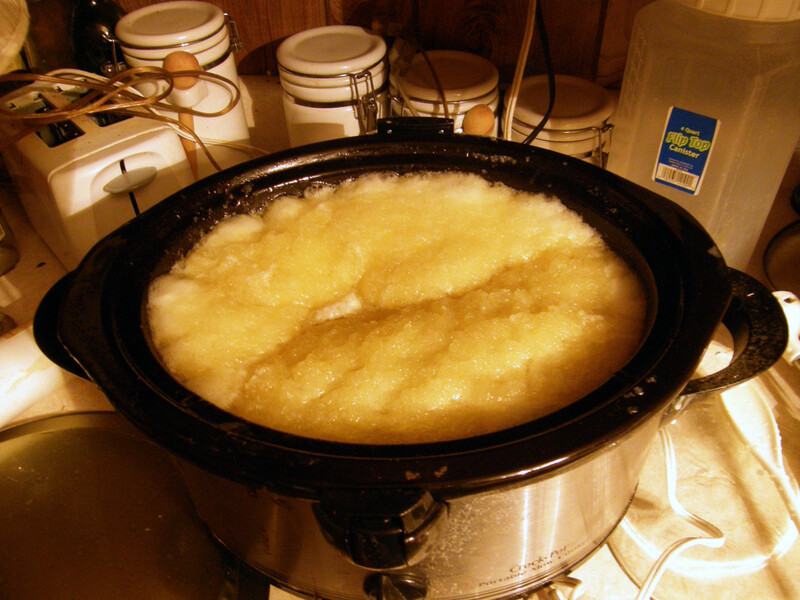 We will be doing this via the hot process (HP) method, but you can use any cold process (CP) recipe you like as well. I will break down the method into several steps – preparation, safety, cooking stages, and pouring and molding. A digital or postal scale to ensure accurate measurements – all primary ingredients are measured by weight not volume. An enamel or stainless steel pot or Crockpot for cooking – these should never again be used in the preparation of food and be devoted solely to soap making. Do NOT use aluminum! Use only enamel or stainless steel cookware. A Mold – a large cardboard box lined with wax paper is great for beginners – no need to invest in expensive wooden molds just yet. Safety Equipment: paper mask (only for when mixing the initial lye solution), gloves, eye protection, and a jug of white vinegar see step two for safety – it's important! Sodium Hydroxide (lye) must be 100% pure sodium hydroxide for our recipe you will need 12 oz. 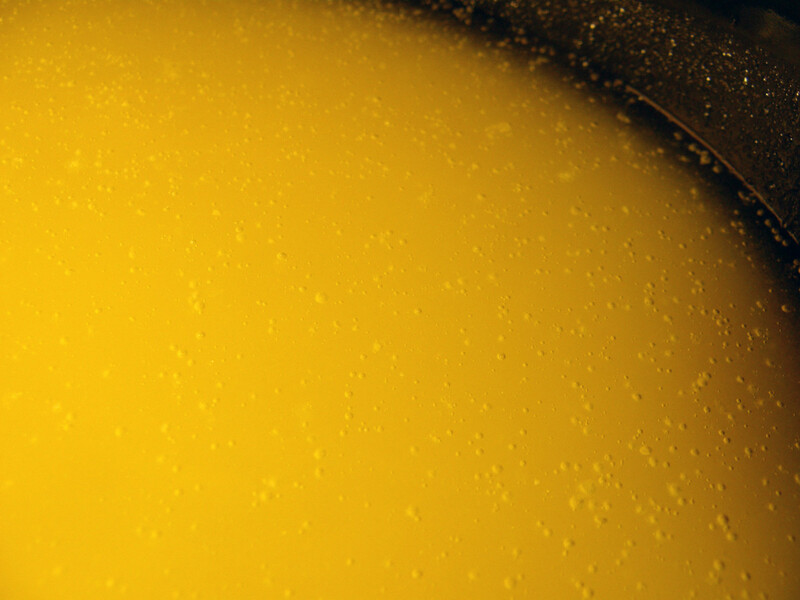 Olive Oil, Soy Oil, Canola or combination for a total of 21 oz. ~Remember~ All ingredients will be measured by weight and not volume except fragrance or essential oils & superfatting oils. You have to be careful with lye (Sodium Hydroxide). I use the Essential Depot brand and it's the best I've ever used. It is pure sodium hydroxide and not cut with anything that could be potentially dangerous. IF you choose to purchase lye from a hardware store you MUST ensure it is 100% pure SH with no fillers or A) your soap may not turn out B) you may end up with soap that burns or irritates the skin. This actually gets its own section in our tutorial because it is extremely important. No matter how experienced you are with soap making, accidents can always happen. For this reason, it is very important to practice good safety measures each and every time you make soap. Kids and pets should be removed from the area whenever you are making soap to reduce the likelihood of accidents or burns. Wearing gloves and goggles while mixing lye solution is extremely important because even a small drop can cause a very painful burn or damage surfaces. I highly recommend covering your work surfaces with a drop cloth. Keep a jug of white vinegar handy because it neutralizes lye burns. Although your skin should be fully protected, we are human and if you should happen to get a drop on you the vinegar will stop the burn from progressing. When you are mixing your lye solution you always add the lye to the water never the other way around– doing this backwards can have explosive results. Add your lye to your water and stir carefully until all lye crystals are fully dissolved. Mix your lye/water solution in a well-ventilated area and take care to not directly breathe the fumes. A paper mask can be worn during this stage to ensure you don't breathe the vapors. Mix your lye water ahead of time to allow it some time to cool before making your soap. Set it aside in a secure place. Refer to the ingredients section above for my specific recipe – or you can follow your own recipe. add your water to your pitcher (measured by weight!) and then slowly stir in your lye crystals. Stir until completely dissolved and set aside. 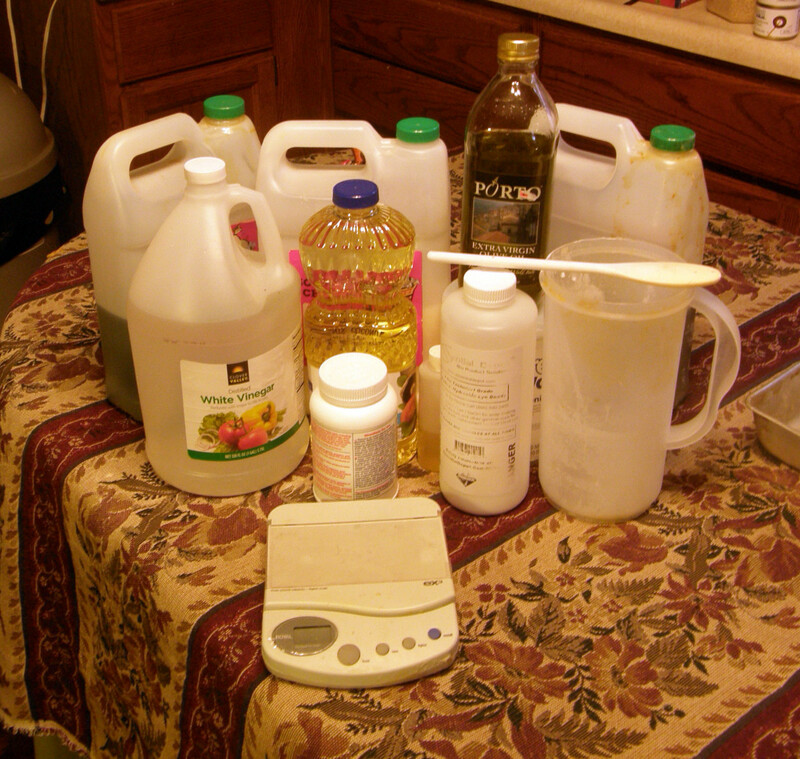 Next your other oils or combination of oils (olive, canola, soy) can be measured out and added. You can do this in whatever proportions you desire so long as the weight is correct. Once all your solids are melted completely you can slowly and steadily stir your lye water solution into the oils – before you do this ensure all lye crystals have dissolved completely and that you are wearing your safety gear. Slowly pour while stirring constantly. Remember to wear your safety gear - gloves and goggles. 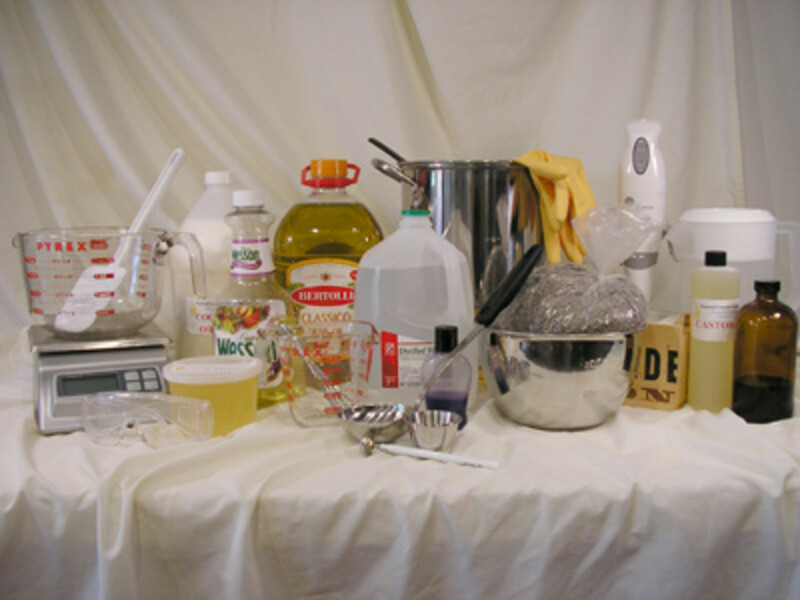 Your soap will go through several stages as it cooks and these are described and illustrated with pictures below. If you are cooking on the stove top (the Crockpot is easier in my opinion) you will need to keep your heat low and stir almost constantly to prevent your mixture from boiling over. With a Crockpot you don't have to stir quite as much, but regardless you need to be close and keep a careful eye. The first stage, called Trace happens very quickly with hot process soapmaking, so quick in fact, I wasn't able to capture it on camera when taking the photos for this hub :). You will know this stage when the mixture is thick like a custard. If you take your spoon and pull up a few drops and dribble it across the top of the mixture; it will sit on top for a second or two before going back down. This is trace and it may happen so fast that it appears to skip right over this stage and that's fine. Stage two is separation AKA yuck! what is this stuff! The second stage your soap will go through is separation and curdling. During this phase, the soap gets kind of ugly and becomes a semi-gelatinous mess with white curd looking stuff and oil floating around it. If you don't know what you are looking at; you might start to panic, but hold tight because it will quickly pull itself together and start to smell heavenly as it saponifies further. Champagne bubbles indicate that saponification is taking place. The larger bubbles have mostly disappeared, and the mixture looks golden and uniform. Many tiny little bubbles will appear at the surface; making it look like champagne. At this point; you can turn the heat down lower and stop stirring a bit and you'll notice your soap starts to grow – this is where saponification1 really gets under way. Continue to cook and stir as needed until the water around the edges cooks off. At the end of this stage, immediately before you reach the pouring stage, you add your fragrances and superfatting oils (Shea butter) for our recipe and stir it through. Doing this last prevents the fragrance from burning off due to high heat. The amount of fragrance will vary by what you use. For this recipe a half ounce to one ounce is usually sufficient. If you want stronger smelling soaps you may need to increase this a bit, but don't overdo it as you may seize up your soap. It would be a shame to come this far and ruin the batch. 1.Saponification: A really big word that means your lye and fats are having a chemical reaction that turns the sodium hydroxide (lye) into glycerin. It is this process that allows the oils and water to mix and form a solid – soap :). The final stage is the “pouring” stage. I use quotes here, because this is actually a bit misleading. Soap that is ready to mold will not actually pour at all and has to be spooned into the mold. At this point, your soap should be moist looking but not wet. The water should be cooked off from around the edges and have the appearance of very lumpy mashed potatoes. This means you are ready to put the soap into your prepared mold. Once your soap is at the pouring stage; you need to move quickly. If possible. you may want a second pair of hands to help you. Quickly scoop your soap into your mold, pushing it down firmly and evenly. I do this by placing wax or parchment paper on the top and using a flat board to push it down and remove the air bubbles. Once I have done that I pick the mold up and drop it a couple of times to ensure it is air pocket free. If you don't wish to drop it on your table; you can also tap the mold around the edges with a spoon to remove air bubbles as well. You will find that if you wait too long to pour, or move to slow, your soap my start to dry out and it will not want to stick to itself. If this happens, put it back in your pot or Crockpot on low heat and add a tbsp or so of oil and mix it through. Even soap that is dry and doesn't mold well will still be useable, so don't worry. 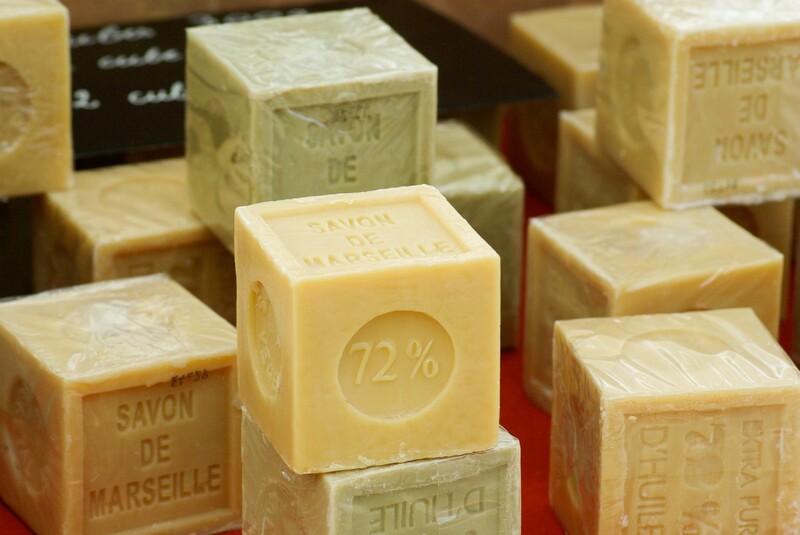 Your soap should stay in the mold until it is hardened all the way through. This time will vary based on the size of your recipe and mold, typically this will be several hours or overnight. 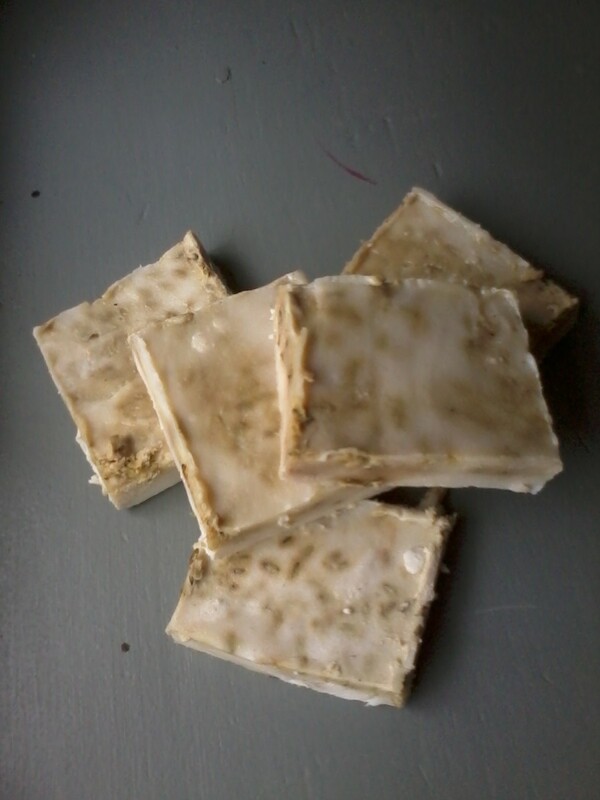 Once the soap is hardened and cooled, remove it from your mold and cut into bars. Allow your bars to cure for at least a few days for best results. 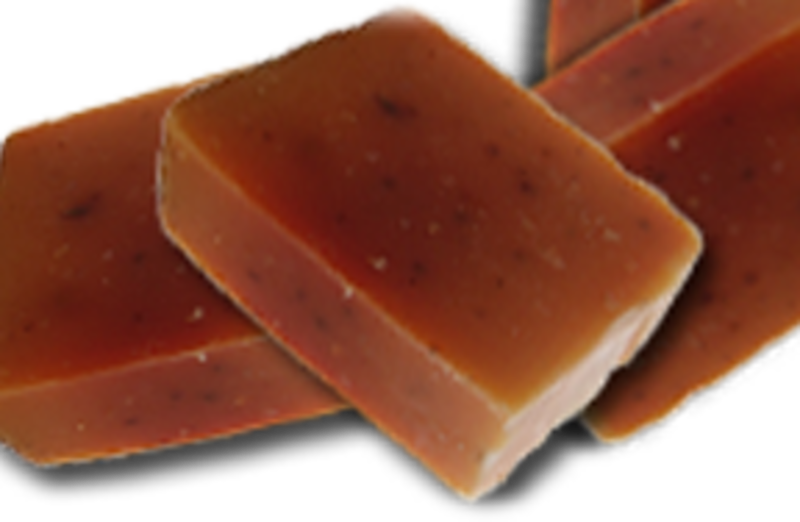 To test your soap to make sure it is fully cured; touch a corner of the bar to your tongue. If you feel a tingle at all this means it is still curing and is not ready for use. If not, feel free to start using and enjoying your soap. What is Your Favorite Way to Make Soap? I have never made soap but I'd love to give it a whirl! Learn the 3 best places to purchase high quality soap making supplies at the most affordable prices. Wholesale pricing without minimum orders and purchasing bulk oils will save you a lot of money. You're most welcome April - best of luck with your soap. I most definitely benefited from the tutorial. I will be making a batch tomorrow with your recipe. Thanks so much for your expertise! Good luck :) It's not as complicated as a lot of people make it. You can do it. What a wonderful complete instruction. I think I may be brave enough to try it with these instructions. I have the ingredients but have been hesitant to start because I felt something was missing. Good luck with batch number 2 Marti :) It's a little bit of a learning curve, but you'll get the next one fine I'm sure! 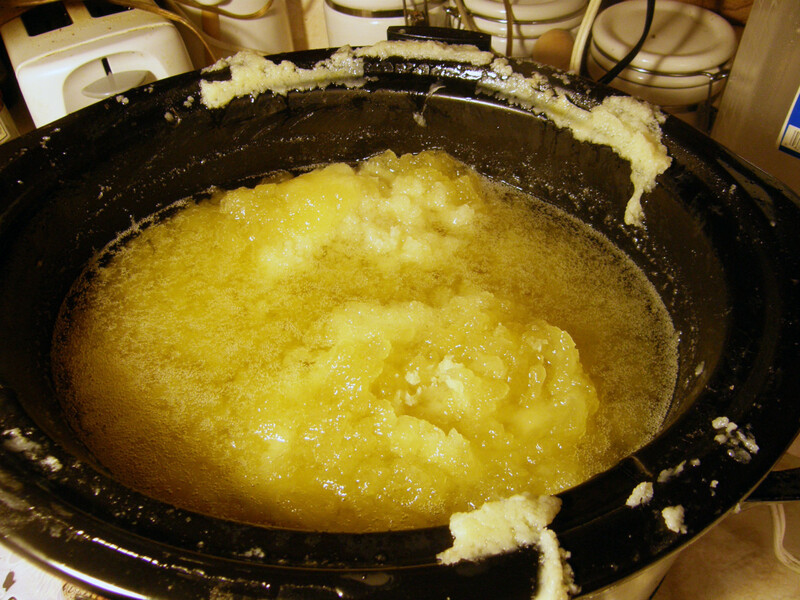 soap dried out in crock pot only after 15 min after rising to the top can it be used? Hey Christin! Really enjoyed this hub. I did make soap once via cold process which turned out nice though I didn't use enough essential oil to give it much of a scent. I have never cooked it. A crockpot sounds ideal. This is definitely on my to do list. Do you have a website where you sell your soap? You're welcome Holly, so glad you are enjoying the hot process. I was the opposite actually. My mom taught me cold process soap making, but then I would spend all that time anxiously waiting to know if the soap was good etc. and I thought you know, there has to be an easier way :) so I started experimenting with hot process techniques. Crockpot is by far easier and the cleanup is a snap for sure. Thanks for reading and commenting! Have been making CP soap since 1996. Decided to try HP soap the other night and have made 3 batches since. I can only do 1/2 of what I usually do, it takes a bit longer but you save on the cleanup! Don't know why I never tried it before? Only tried it because my sales are way up and my supply is way down and I have lots of orders to fill in the next month. I can bypass the 6 weeks to let it cure. Think I will be switching over. Thank you for your tutorial! 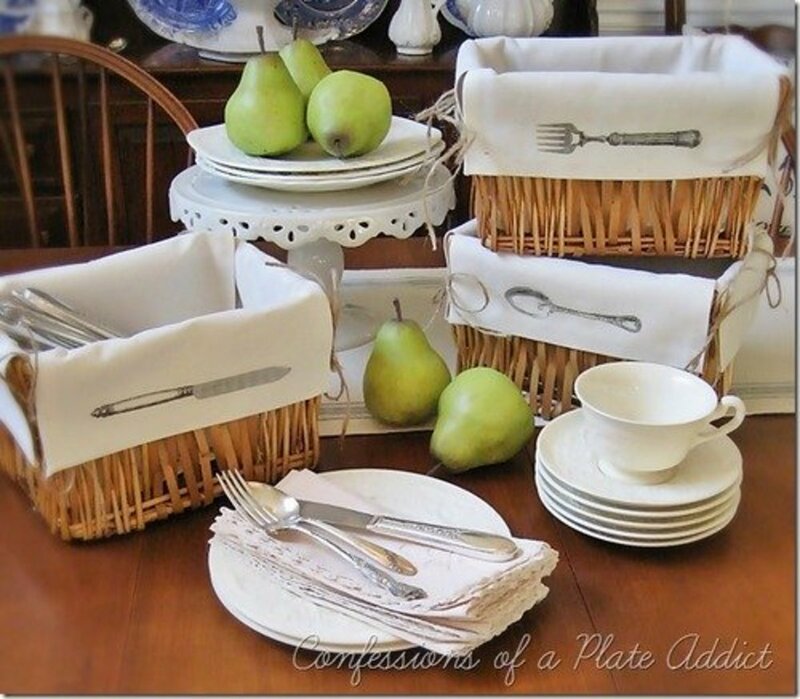 Dee is correct in that wrong measurements can make a mess and you don't want too much lye. Use the recipe as written in my hub it works very well and I've used this same recipe for years. Lynda making soap is an art like baking a cake. The difference is that the lye not fully processing could burn someone very badly. You could half the recipe and put it in a soap calculator to get the proper amount of water and lye. But if the oils aren't right you may get a mess. Or you may get lucky and get a great batch of soap. So it's best to start with a recipe that works. (Always use a soap calculator www.soapcalc.net is one. ) Use it even when the recipe tells you how much to use. Read up on soap making. Elevation can change your recipe. Be careful and you may fall in love with soap making too! Very informative tutorial on the hot process of soapmaking. I have wanted to make soap for years but it seemed to intiminating. Your crockpot method & easy to follow directions have me thinking I can do it. My only question is if will work if I half the recipe & make a half batch for my first time? Also, can lye be bought at any pharmacy? Thank you for your excellent tutorial! Thanks a lot VVanNess hope you try it and enjoy it :). Very nice. I've have wanted to start making my own soaps for a while now. And you have made it look super easy! Thank you! Interesting to learn about this method. I may yet muster the courage to give it a try! Thanks for a good look at the details. Hi mama - so glad you are encouraged to try your own :) For this recipe I am using one of the very large oval crockpots, but you can use any size hot processed soap recipes (they are all over the internet) and a smaller pot if that is what you have. I like the larger crockpots because you can make large or smaller batches. Yard sales and thrift stores are good places to find one since you'll only want to use it for soap after that. I love this! I enjoyed the bit of history, the recipe, pictures, and descriptive instructions for making the soap. 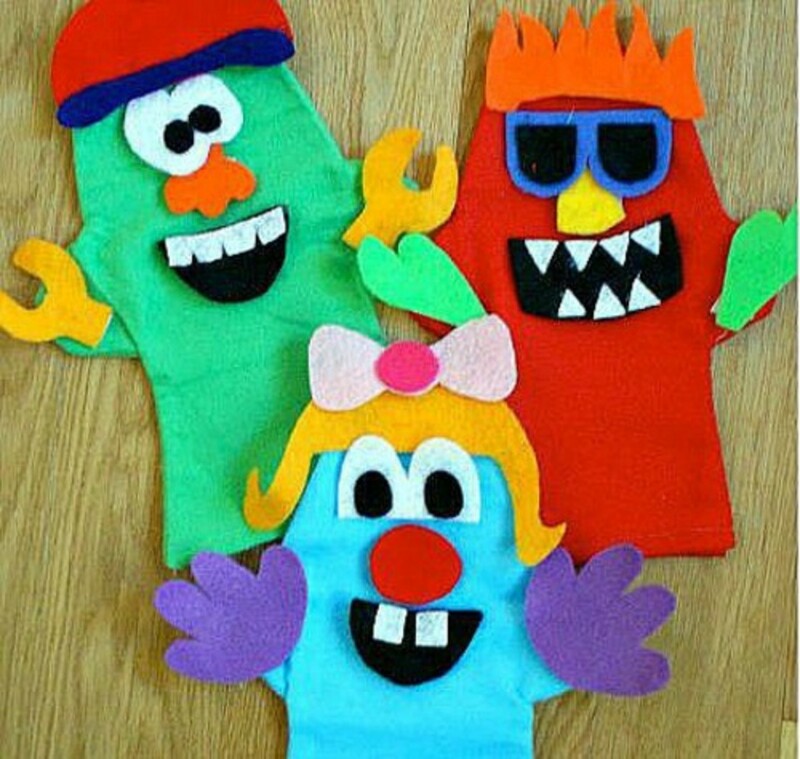 I'm truly inspired to make my own. :) On that note, what size crockpot is that you're using? Hi! Great article! I have a small crockpot, maybe half the size of the one you show in the photos. Should I cut the recipe in half? 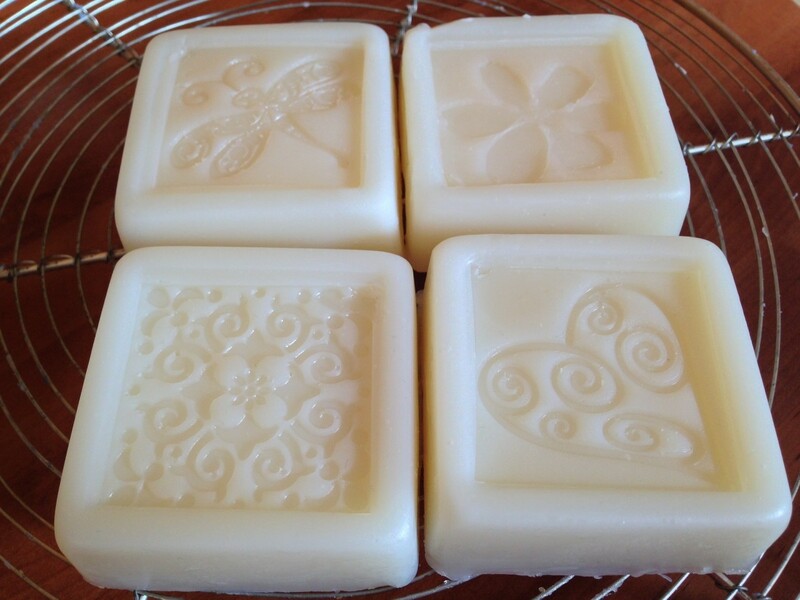 I love the idea of making my own soap and have considered doing so but haven't tried it yet. Your article has inspired me once again and I am going to try it. 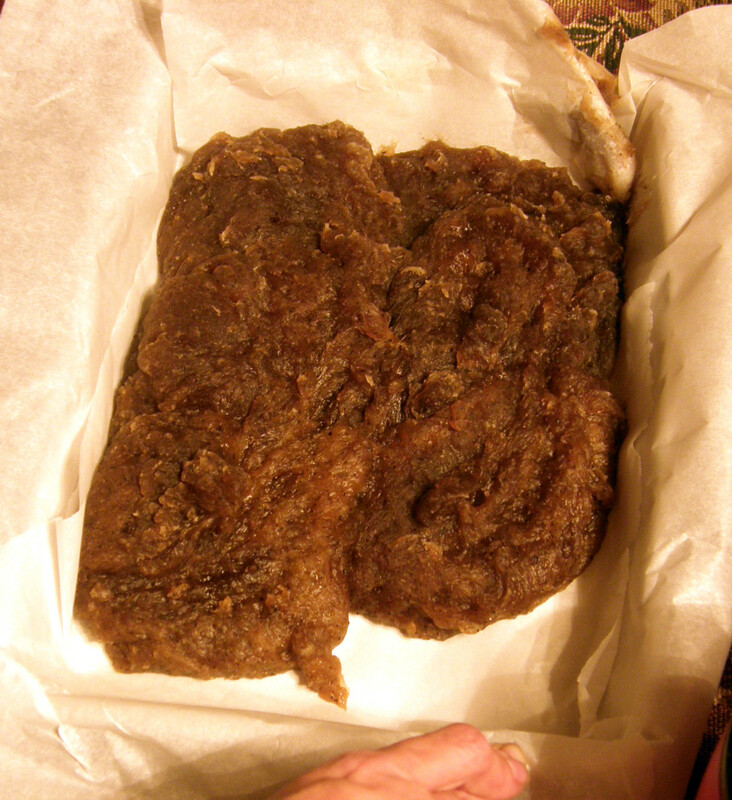 However, I have a question about the homemade soap. Does it tend to leave that icky soap ring in the bathtub or shower? I really hate that. awesome, be sure to post and let me know how it goes. Enjoy! I have all the supplies lined up and ready to go...this recipe is going to be my very 1st attempt at making my families own soap supply!! After reading endless websites and watching Youtube I am sure I will have NO problems! Your article actually inspired me to give it a "go"!! Thank you very much! thanks for commenting unknown spy - let me know if you try the hot process method sometime and how you like it. I like this much better than the cold process because you can use it faster :) and you'll know immediately if it's going to turn out or not. creatively yes, hot process soap is different than cold process. With cold process you absolutely must cure it that long. With hot process the cooking does most of the saponification so you don't need to cure it very long at all. This is great, I can't wait to try this recipe. I recently started making soap. One thing I'd like to ask though. My recipe said to cure the soap for 6 - 8 weeks and your is for a few days. Does cooking the soap make the difference? Wow!!! I am going to try this this summer. I have always want to make home made soap. Voted up, useful, shared and followed. Thank you for sharing this recipe. Interesting bit of history about soap making. I'm not surprised that today's soaps are very drying (for our skin). I experience that in the winter quite a bit. It looks like a rewarding craft. Homemade soap sounds great. I am continually looking for more natural cleaning products and this looks interesting. As you have mentioned it is better for people with sensitive skin, so must be a better option and at least you know what you are putting in. Nick - yes I want to make it more often again - imagine that :) too bad we can't keep up with that and going to school etc. I used to make homemade soap a lot but got out of the habit. I've recently thought about making lavender soap. Great article. That first photograph looks like caramel! Very nicely written, and I may be tempted to try. My mama used to make soap, but it involved lye. It didn't smell all that great, either. Voted up and everything else. Bookmarked, too.